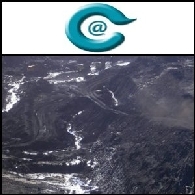 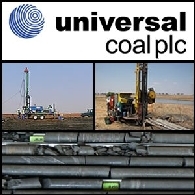 Asian Activities Report for October 27, 2011 includes: C @ Limited (ASX:CEO) has signed an agreement to acquire eight highly prospective Mongolian coal licences for US$7.8 millions; African Iron Limited (ASX:AKI) announces a 267% increase in the JORC hematite mineral resource to 121 million tonnes at its 92% owned Mayoko Iron Ore Project in Congo; ENK Plc (ASX:ENK) announces the first nickel production from its pilot plant located 250 km north of Manila in the Philippines; Solagran Limited (ASX:SLA) recently visited an Asian country where a poultry trial was conducted in collaboration with a government body in the field of poultry production and disease management. 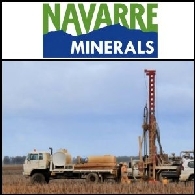 Asian Activities Report for October 21, 2011 includes: Navarre Minerals Limited (ASX:NML) announces a further high-grade gold intercept from air-core drilling at its Tandarra prospect in Victoria; Entek Energy Limited (ASX:ETE) today provides an update on the Niobrara Shale Oil Project appraisal program in the Green River Basin in the United States; African Iron Limited (ASX:AKI) announces further significant direct shipping ore assay results of up to 61.7% Fe from its 92% owned Mayoko Iron Ore Project in Congo; MIKOH Corporation Limited (ASX:MIK) has received orders from two new orders from Thailand and India. 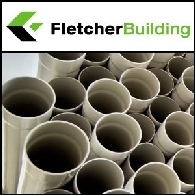 Asian Activities Report for September 28, 2011 includes: Fletcher Building Limited (ASX:FBU) said today that Iplex Pipelines has been awarded a A$120 million contract for the supply of polyethylene pipe; Integra Mining Limited (ASX:IGR) reported aircore drilling results from reconnaissance drilling in the Mt Monger area; African Iron Limited (ASX:AKI) provides an update on drilling activities at its 92%-owned Mayoko iron ore project in the Republic of Congo; Alchemia Limited (ASX:ACL) said today that its leading cancer product HA-Irinotecan has received very promising trial results; Tata Communications (BOM:500483) has become one of the few global carriers to extend its Global IP/VPN service offerings into Pakistan. 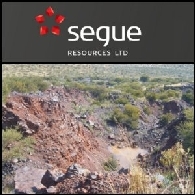 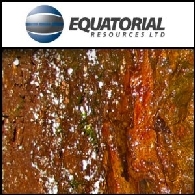 Equatorial Resources Limited (ASX:EQX) is pleased to advise that it has settled the acquisition of 19.9% of African Iron Limited (ASX:AKI) through the purchase of 95.4 million ordinary shares in African Iron. 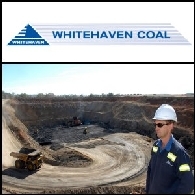 Asian Activities Report for August 23, 2011 includes: Whitehaven Coal Limited (ASX:WHC) said today that its Total Coal Resources have increased in the past half year from 1,750 Mt to 1,771.5 Mt; African Iron Limited (ASX:AKI) has received the first batch of assay results from the 2011 drilling campaign at its 80% owned Mayoko Iron Ore Project in Congo; Medusa Mining Limited (ASX:MML) announces the annual update of the JORC compliant Ore Reserve estimation for the Co-O Mine; Gascoyne Resources Limited (ASX:GCY) Glenburgh project gold resource increased to 520,000 oz; Satyam Computer Services Limited (BOM:500376) announced the inauguration of its near shore delivery centre in Netherlands. 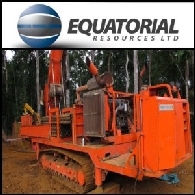 Equatorial Resources Limited (ASX:EQX) is pleased to advise that it has acquired 19.9% of the ordinary share capital of African Iron Limited (ASX:AKI) through the purchase of 95.4 million ordinary AKI shares. 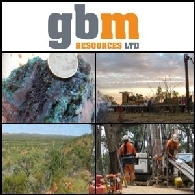 Asian Activities Report for June 14, 2011 includes: GBM Resources Limited (ASX:GBZ) reported significant results of copper, gold, silver, cobalt, molybdenum and uranium from the Milo Prospect in Queensland; Kidman Resources Limited (ASX:KDR) reported further copper results from the Phase 3 drilling program at Blind Calf in central NSW; African Iron Limited (ASX:AKI) will mobilise two additional drill rigs to accelerate the resource definition drilling at the Mayoko iron ore project in Congo; Dampier Gold Limited (ASX:DAU) received further impressive results from recent RC holes completed at Cinnamon, K1 and Keillor East gold deposits.